Process for entering appointments associated with a PVL Waiver. This knowledge base document provides instructions on how to complete the hiring transaction for approved JEMS PVL Waivers. Before reading this KB, you should review KB document 38920. 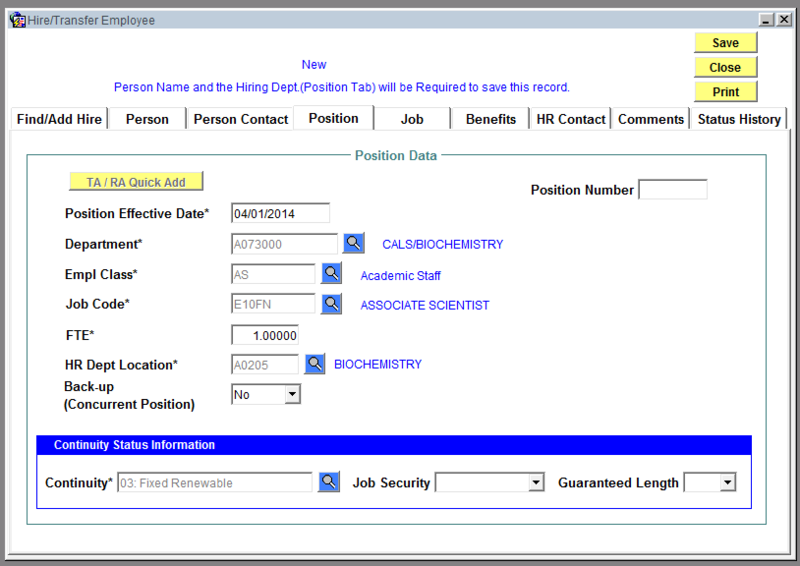 The find/add hire tab will appear. 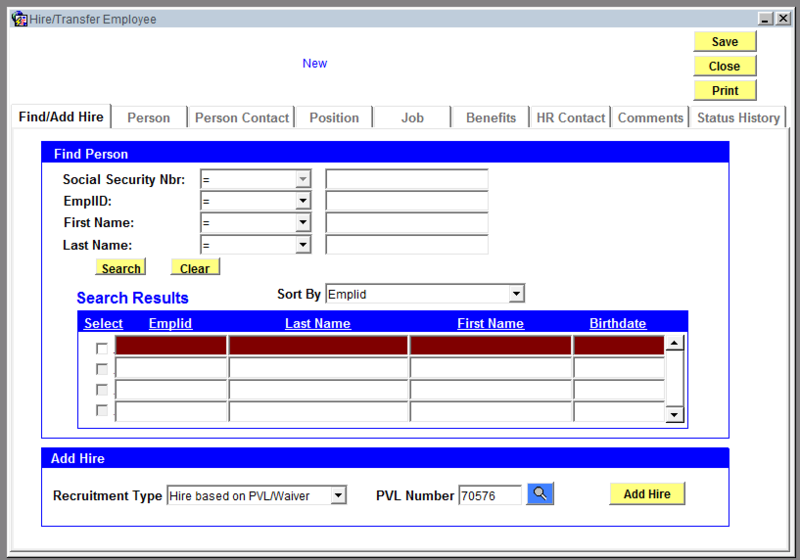 This page is used to search for existing employees, and to indicate the PVL/Waiver. 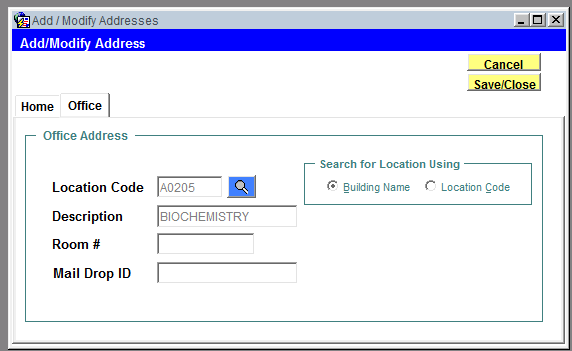 2 Click the Search button (this function searches IADS, EPM, and HRS). If the Waiver had only one Hire associated with it, that person's First and Last Name and SSN will automatically get pulled into the appropriate fields on the Person tab. 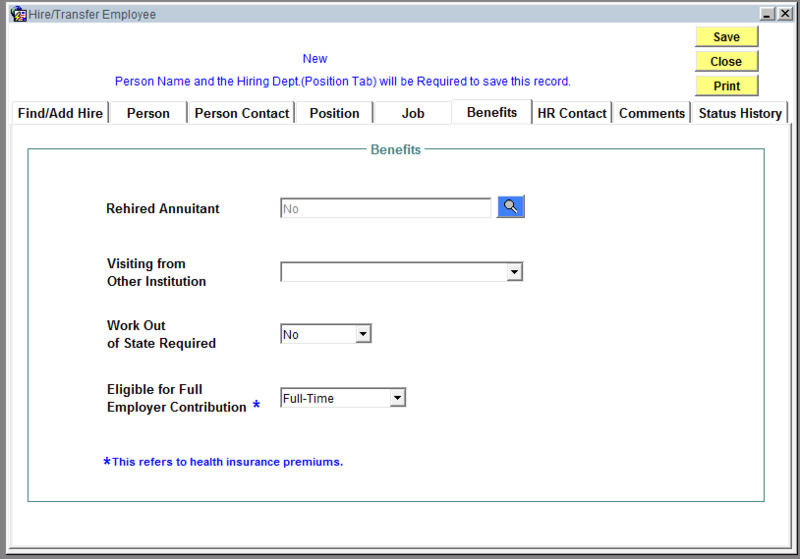 If more than one hire is associated with the Waiver, pressing the <Waived Person> button will present you will a list of the Hires associated with the Waiver. 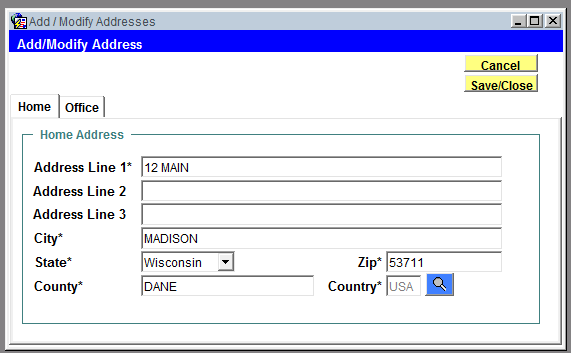 Click the Waived Person button if there is more than one person who was selected. 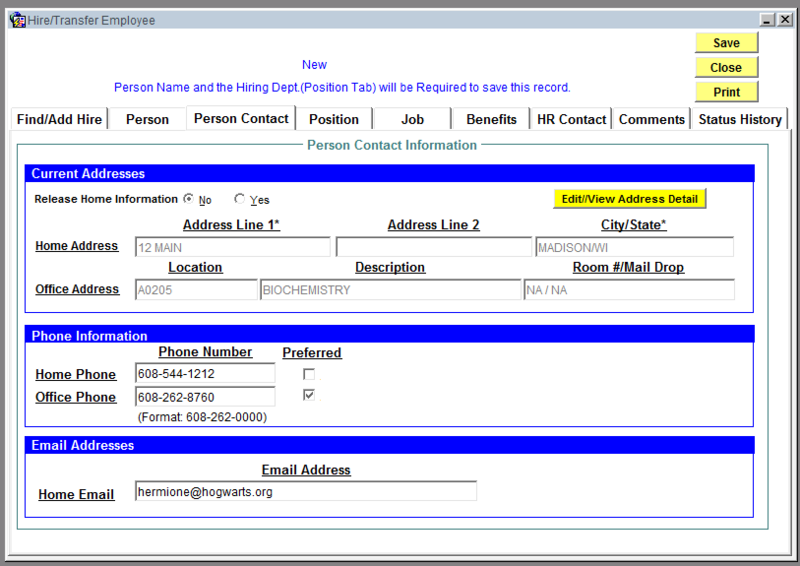 Click on the select button of the person you are complete the transaction for. 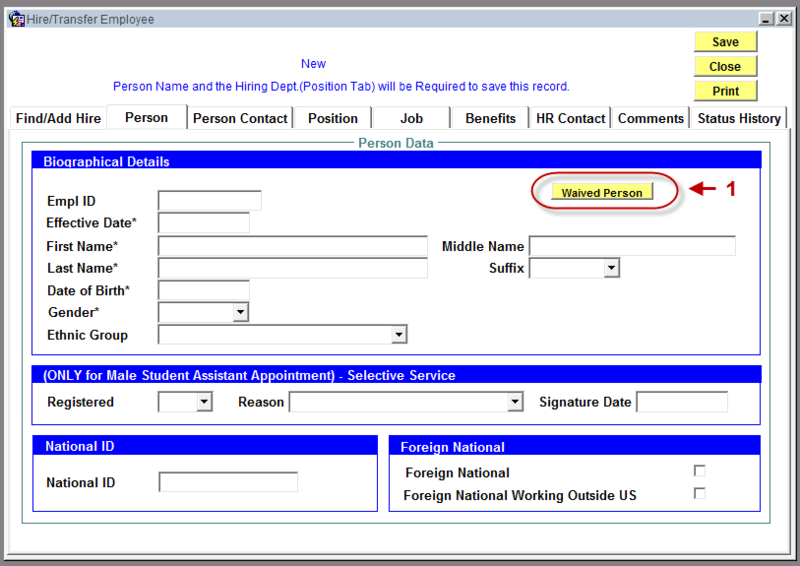 Empl Rcd# Leave Blank = If the employee is not a previous UW Employee in HRS. 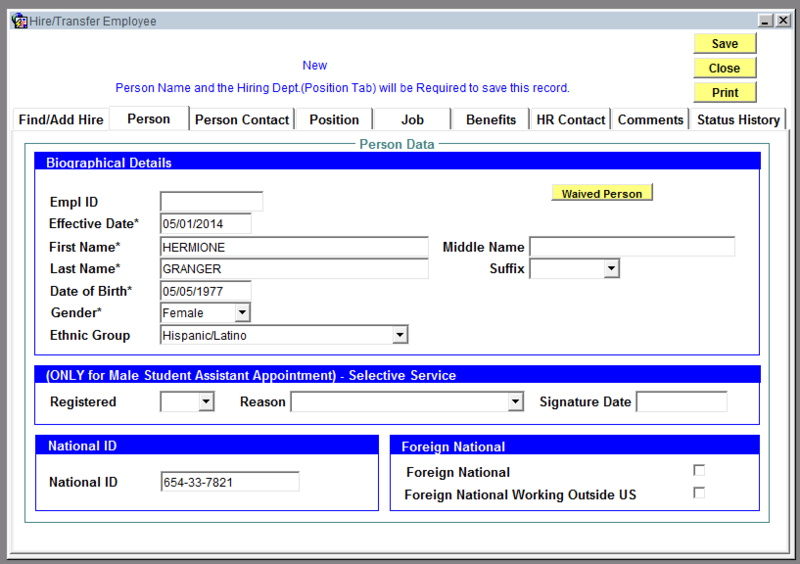 In this instance, the Empl Record will automatically generate when the appointment is successfully 'pushed' into HRS. 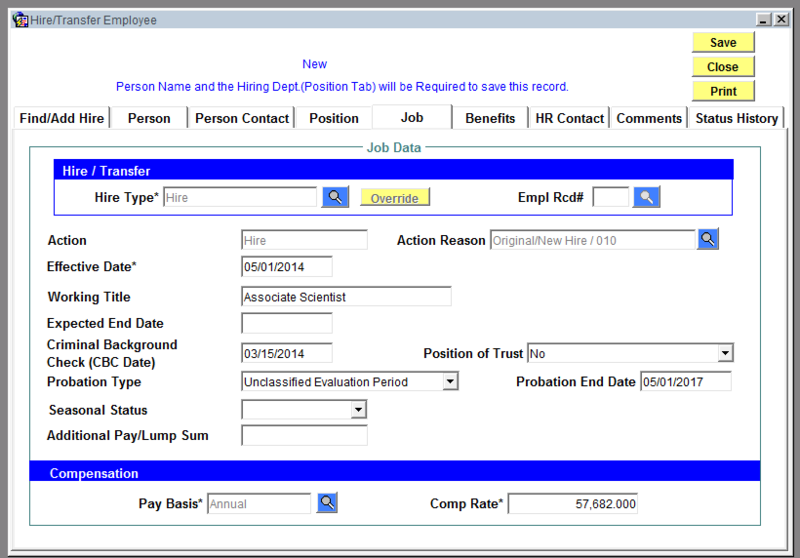 Enter in an Empl Record# = If there is an employee record that the employee will be transferring from or there is a terminated Empl Record # in HRS (If there is more than one terminated Empl Record, enter in the lowest number). Additional Pay / Lump Sum If this appointment is paid on a Lump Sum basis, enter the lump sum amount (if a lump sum amount is entered, make sure the pay basis field reflects this).